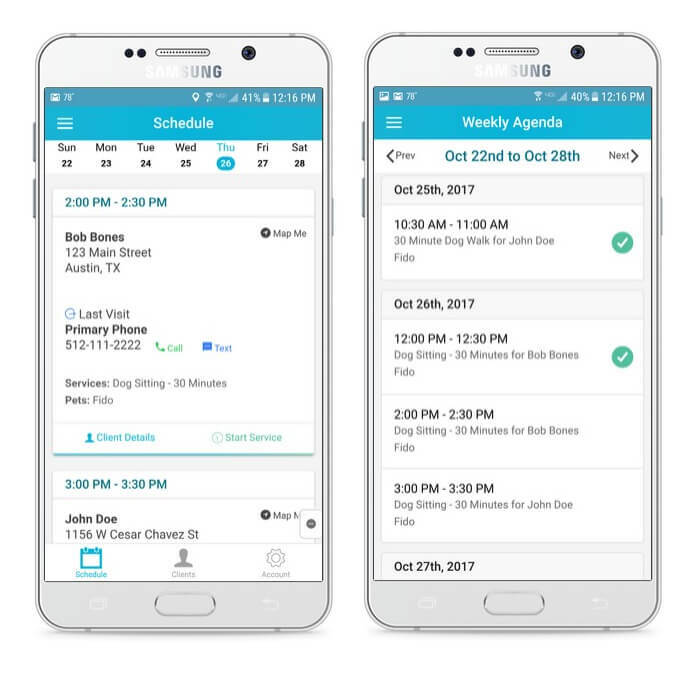 The Time To Pet Staff App provides all of the tools your team members need to deliver fantastic services to your customers. They can view all of their scheduled events, access all of the important information, send post visit reports and get notified of important updates. Staff members have access to all of their scheduled events right from their App. They can start and finish events and can automatically hide events after they have been marked as complete! Staff can also use the Agenda view to easily see their future events. Each event on the Time To Pet Staff App includes the most important information about the visit. 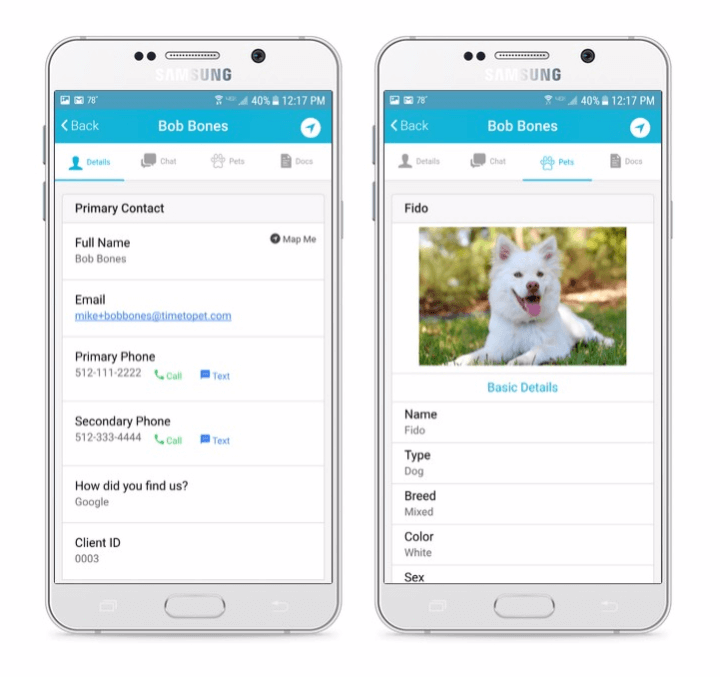 Staff members also have access to the complete client profile as well as information on all pets associated with the client. After completing an event, your staff member is prompted to send an optional note to the client. If enabled, staff members can also complete a visit report card and can include any number of pictures. All post visit updates can be automatically sent as email or text message to your client. 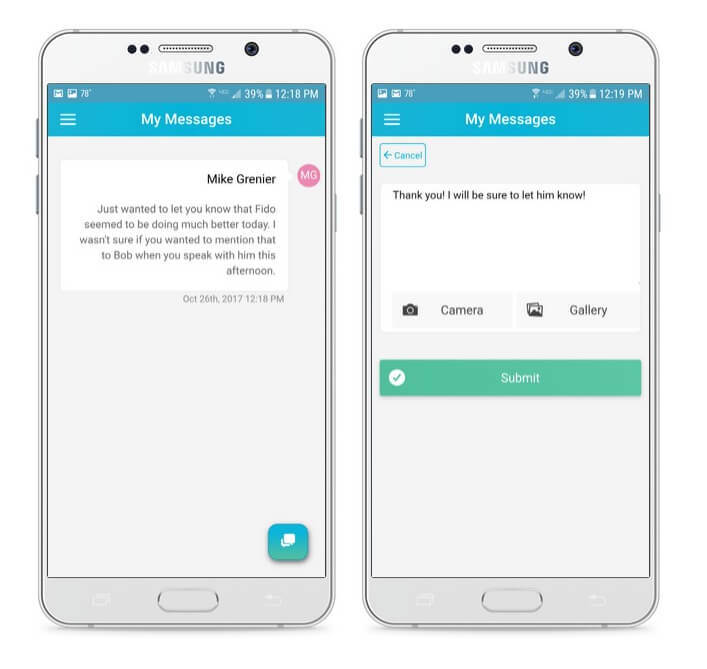 Staff members can get push notifications directly to their App notifying them of new message, time off approvals, client updates, late notifications and much more!